On December 28th, aspiring fitness trainer Kyler Baughman died from “organ failure due to septic shock caused by influenza,” as his mother told local NBC affiliate station WPXI. In modern times, the flu is not nearly as threatening as it once was and we rarely hear of relatively healthy, young people dying from it. But Baughman’s death now has many wondering about septic shock, and specifically if septic shock from the flu is a common occurrance. According to the U.S. Centers for Disease Control and Prevention and the World Health Organization, 650,000 people die from respiratory illness linked to flu each year. Most of these deaths occur amongst the elderly and those living in the poorest global regions. Seasonal influenza is easily treatable, and the US-CDC states that most recover from the illness within a week. But where does septic shock come into play? Sometimes, for reasons researchers still don’t understand, an infected person’s body will begin attacking itself rather than the virus or bacteria by releasing chemicals into the bloodstream. Sepsis occurs when these chemicals cause inflammatory responses throughout the body. The Mayo Clinic states that this sepsis-induced inflammation can cause massive organ damage and failure. Sepsis can be triggered by multiple different infections, like pneumonia, influenza, or urinary tract infections. Signs of sepsis include high fever, inability to keep fluids down, rapid heartbeat, lethargy, and confusion. Septic shock occurs when a patient exhibits all the above signs of severe sepsis, and shows signs of organ failure. Blood pressure is dangerously low, urine output is poor, and breathing is hindered, and unfortunately, fluids don’t usually help a patient at this point. Dr. Steve Peters, M.D. told the Mayo Clinic that "among hospitalized patients, septic shock is associated with a 20 to 30 percent risk of death." Sepsis.org reports that worldwide, one third of those who develop sepsis die. 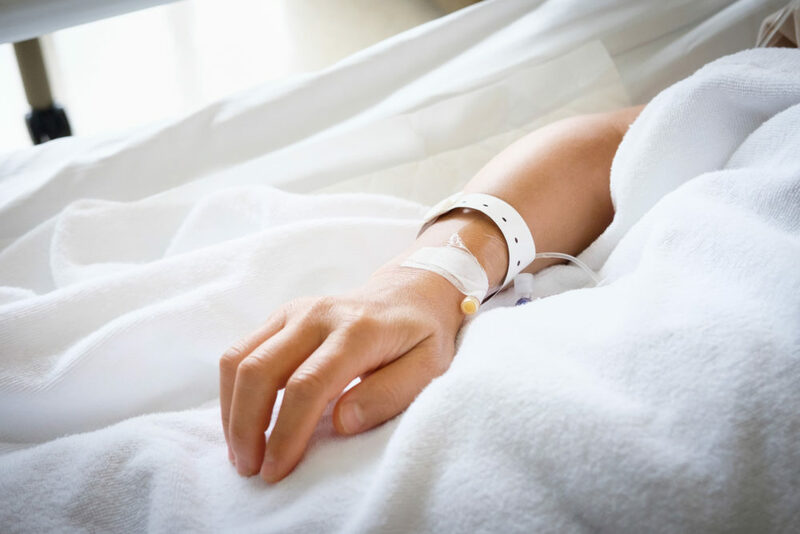 Although those with weakened immune systems are at a higher risk, sepsis can happen to anyone. Not monitoring fever and low fluid intake while ill can heighten the risk of developing sepsis. If you’re able to get a flu vaccination, it’s recommended that you do so. But if you’re already showing signs of the flu, take it easy and drink a lot of fluids. And never hesitate to contact your doctor if you’re symptoms do not subside within a week or seem unusually severe. Stay alert and always prioritize your health!